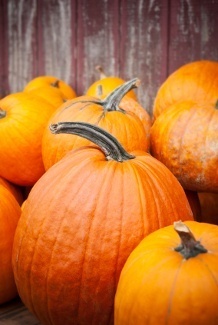 October is here, and pumpkins pile up everywhere. Something’s changing in the air. I can smell the cinnamon fragrance brooms, and Halloween decorations are the focal point in every department store. Fall is here! Halloween marks the beginning of the holiday season. From this point, things move along very quickly, and we go from one holiday to another until it’s officially over the day after New Years. The day after New Years is the beginning of a cold front and is the slowest time of year for sales (well, for most businesses). But let’s talk about now and about how to take advantage of some of the best months for sales: October through January. Change some design elements - “dress up” your website in holiday spirit. It’s always fun and refreshing. Add some orange background color, falling leaves, or even a jack o’ lantern or two. It will create interest, just like Google’s famous changing doodle that creates a huge interest and conversation. You may find that visitors return to your site and spend more time on it as a result. Think of it as if you were decorating your shopping window in a real brick and mortar shop. Incorporate holiday spirit in your social media efforts - Use Facebook and Twitter to deliver attention-grabbing marketing massages & campaigns related to the holidays. Create interest by delivering short tweets and Facebook massages along with photo galleries, polls, and surveys to boost interactions. Email your customers - remind your customers that the holidays are coming. Create holiday-themed promotional emails. Make killer offers that will bring lots of sales and prospects to your site and will help position you in a good starting point for the season. Create a video - You can use this to connect and communicate with your visitors in a more visual fashion. You can deliver a fun massage from your business to your prospects - maybe even a fun jingle or a song. Just remember to make it short and catchy, and avoid using auto-play! Modify your SEO and PPC keywords - If your SEO is established and running smoothly, it will be a good idea to optimize your site for the holidays. Add some holiday-related keywords and holiday-related content. If you are currently running PPC campaigns, it’s time to re-evaluate your keywords and ad copy. What worked during the Summer might not work during Fall and Winter. Tune up your campaigns, and optimize them for the season. Consider ramping up your PPC budget, too. Make sure everything is tracked on Google Analytics, so you can accurately evaluate your efforts and your ROI. Check your site’s functionality - As traffic to your website increases and sales are up, it’s time to make sure that your site is ready to handle the crowds. Things to check: page load time - make sure all pages load up quickly and smoothly. Shopping cart functionality - ensure an intuitive check-out process that helps customers make quick and painless purchases. Run a test transaction, so you can get a feel for the shopping experience and see if there’s room for improvement. Make your site user-friendly and easy to navigate, shop, and pay. Blog - Incorporate holiday-related topics into your blog. Keep your blog active and fresh, especially during the holiday season. Tip # 8 - Start Early This Year! The earlier you start, the more time you have to prepare! Avoid the stress, and set yourself up for a successful holiday season. If you need more tips on getting your site or online marketing into the holiday spirit, let us know; we'd love to hear from you!